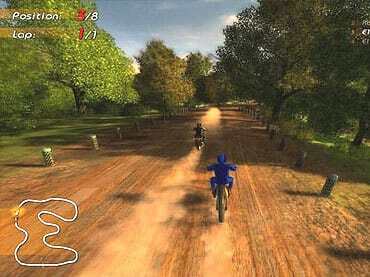 Motoracing is a fast-paced, 3D motocross racing game sport. Rev your bike and be ready for the ride of your life. If you like this free game, try Motoracing. Motoracing fever is here! Race on their challenging racetrack, Lakes Valley and compete against 7 other racers. Rev your engine and starts your bike challenge now. - Moto racing is a free full version game to download and play. If you have questions about Motoracing game, please contact us using this form.